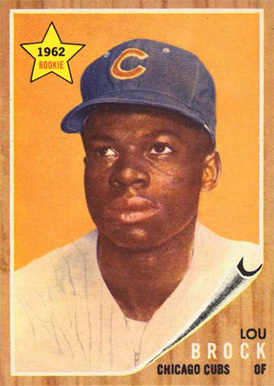 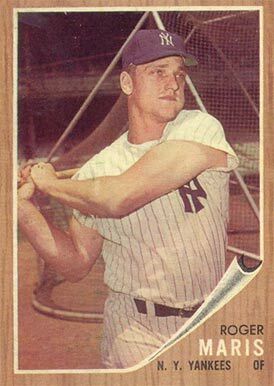 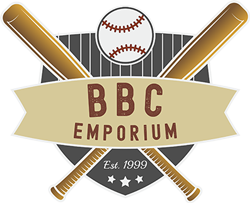 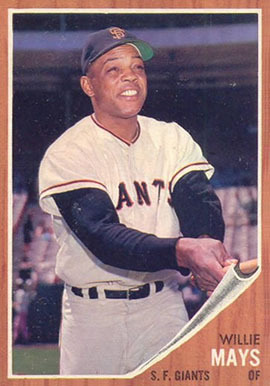 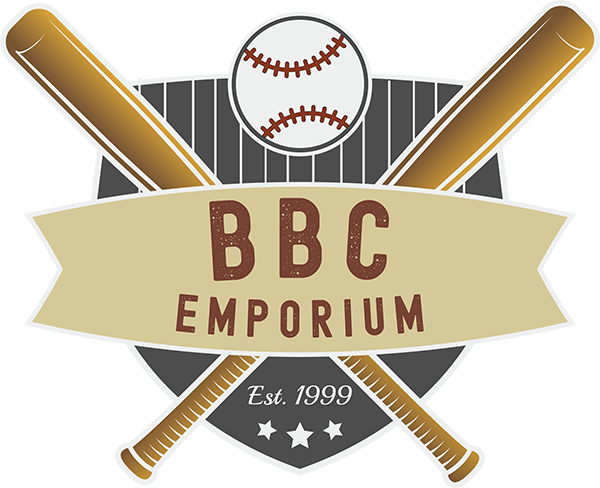 With the notorious wood grain borders, the set produced by Topps in 1962 is known for showing wear and difficult to find in high grade. 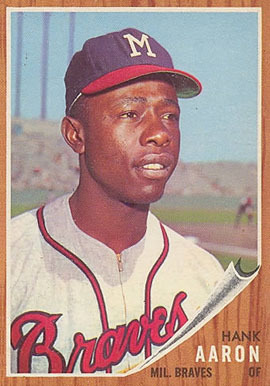 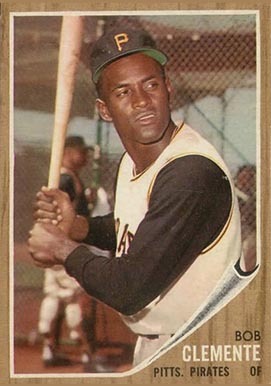 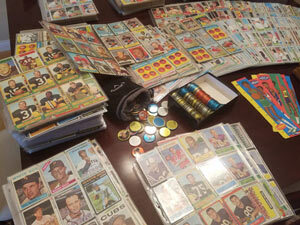 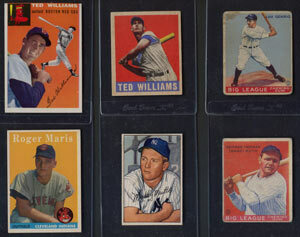 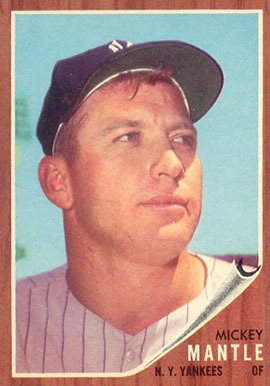 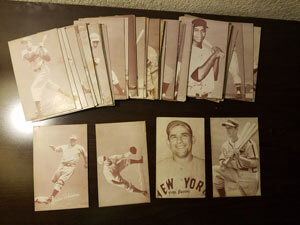 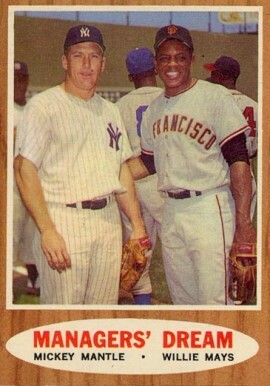 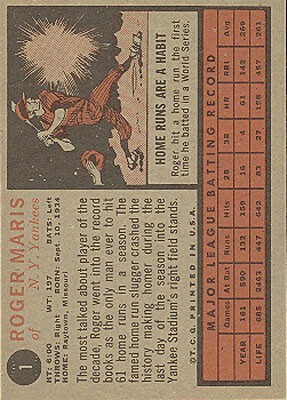 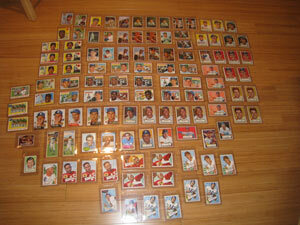 The 1962 Topps baseball card set features 598 cards and measure 2½” by 3½”. 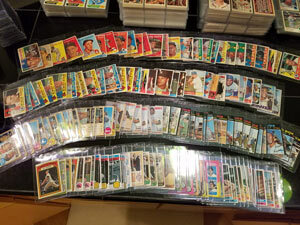 The subsets for the 1962 Topps baseball cards are the league leaders (51-60), the Babe Ruth series (135-144), World Series highlights (232-237), In Action shots (311-319), the All-Stars (466-475), and the Rookie Prospects (591-598).